After working on my book for a few years and pitching several agents, I heard my book was good but not compelling enough. I decided to hire an editor. Each genre has its own special tropes. In mystery, why does the policeman accept help from an amateur? Etc. I wanted someone who was deeply familiar with the tropes. Ideally, they would have worked on mysteries set in the 1920s or in England. Next, I read the acknowledgements sections for historical mysteries set in England to see who the author thanked. Most of these editors were nestled in publishers and not available, except for one editor who had a Reedsy profile. While he wasn’t doing freelance any longer, I was delighted with Reedsy – they vet all the book professionals (editors, publicists, etc.) on their site. They show you reviews. And – amazing! – they link to the books that these professionals worked on. After reading samples of the books each professional worked on, I sent a request for quotes to 5 editors. Everyone replied, some asked to see more of the book and others sent samples of their work. The prices ranged from low to high, and I chose the expensive end of the spectrum because of the editor’s historical mystery experience. But there were a ton of great editors at lower price points too. This has been a long week. I’ve had grueling work deadlines and fires. I got my manuscript back from the editor, which means I’m removing characters, fixing backstory and trying to finish all the edits before it is due back. So I’m really, really happy to hear my flash fiction (~700 word) mystery was accepted for the April edition of Flash Bang Mysteries! They are a quarterly magazine with excellent work. If you check out their contributor bios, you’ll see they have a wonderful mix of well established and emerging authors. Reedsy is a London-based marketplace for book services – everything from editing to cover design to marketing. What makes Reedsy stand out is that they diligently screen everyone who wants to offer services. They take only around 10-15% of the professionals who apply. Based on their 15 months of usage, they’ve put together a truly comprehensive infographic of self-publishing costs. It’s nice to see a real budget and explanation of what you’re paying for. Even though I’m going through the agent route and will be pitching again at a conference, I’m using Reedsy for editing. The consistent feedback is that my book has a strong premise and writing, but there are a few major threads that need to be fixed. I just started the process with an editor who has years of mystery editing experience – fingers crossed! Elizabeth S. Craig is my kind of hero in the writing world, she was successful through one of the Big 5 publishers but she eventually went her own way. Her blog is a gold mine of resources from other writers and her own articles. In this post, she explains her reasons for going with self-publishing. Things like releasing when you want, price control and making more money are excellent reasons. I’m very excited to share that my first short mystery has been published in Mystery Weekly magazine! 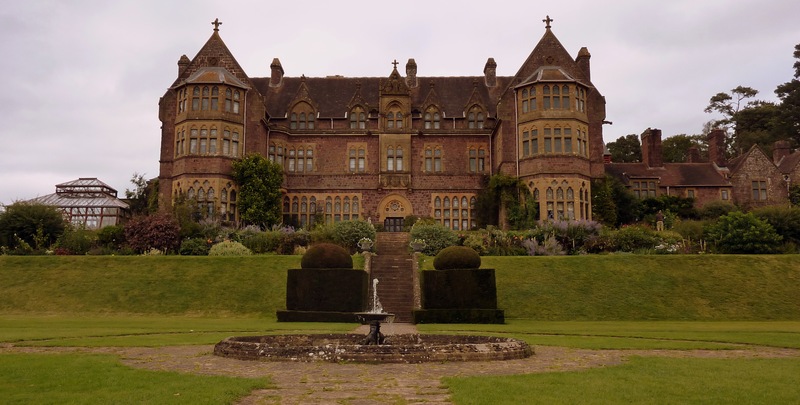 Faith Allington’s “The Death at Knightshayes Court” is a more traditional offering in the style of Agatha Christie. Set on an English estate in the twenties, a rare book dealer must clear his own name in the poisoning death of a young heiress. All of the ingredients for an old fashioned parlour mystery are here: an inheritance, servants, suspicious guests, and a classical denouement where the killer and their motives are revealed. 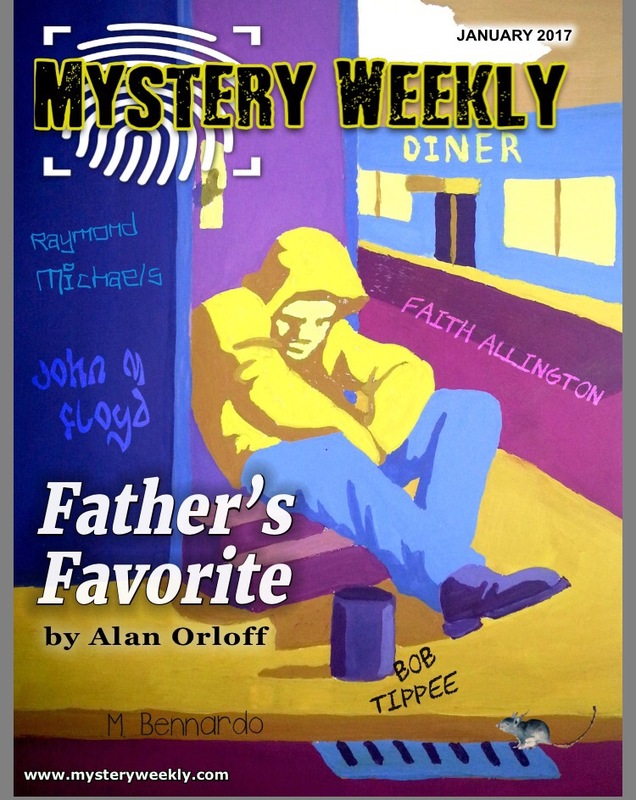 You can read story previews and subscribe at mysteryweekly.com. This issue is also available in print and digitally at Amazon. My sister is an amazing sewer of vintage patterns. I was talking with her about how I’d just started the 4th draft of a short story. I had a great title, a great protagonist and a solid plot. So why was I on attempt #4? Just like a sewing machine, it was the tension. If you’ve ever sewn, many times the problem is the tension–thread is too tight or too loose, so the fabric bunches up or gets stuck or the stitches won’t hold. With some digging, I realized what was wrong. The tension in my story was off because the murder took place in the heroine’s past, distancing the reader, and the victim wasn’t important enough to her. With some tinkering, I adjusted the plot and wrote it again–this time, the beta readers were delighted. Here are some more great tips on upping and maintaining tension from Writer’s Digest: up the stakes, reduce backstory, more emotion. Any other good tips to fix a story’s tension? It took 4 rejections to feel acceptance and even a hint of gratitude. How often I’ve written something, only to improve on it a few days later–the same theory surely applies to my book? They give me an excellent chance to practice my craft. Quick character studies, story arc, plotting, all of the same principles apply for mystery stories. I’ve gotten through 3 completed short stories and 2 partials that I’m trying to fix. That’s 3 fully realized plots with clues and suspects and such, which ought to help me with the longer books. Next up… my 300 page novel needs a major revision… whew! Today’s rejection feels a bit like this quote from Harry Potter. I was really excited about how responsive this agent has been. But she was awesome in rejection, at least. She gave me detailed feedback on major issues she saw with the manuscript. One issue could be solved with some thorough editing of voice, but the other requires a potentially massive rewrite of the plot. I’ll certainly let the manuscript rest for a few weeks before starting. In the meantime, I’ve been writing short stories. After the pacing of 75K word novels, a 4-7K short story seems to fly by! Hopefully it is good practice with plotting and characterization, a chance of publication and a quick-but-positive outcome. What’s the tipping point for rewriting a novel? An ancient grudge turns to murder in a quiet English village, 1817. Book 4 in the Regency series finds the spirited rector’s daughter Lucy Harrington and her protective fiance Major Kurland preparing to marry. While judging vegetables at the local fair, Lucy warns him to be diplomatic in his choice of winners. His refusal leads to a storm of outrage among the villagers, who are furious when the verger at the rectory wins. It isn’t long before Lucy literally trips over the verger’s dead body in a tragic accident. Lucy grows suspicious when they discover a cursed charm by the body and they soon realize that the death was actually murder. While trying to uncover the killer, Lucy must deal with the unpleasant cook who shares her father’s bed, and the frustrating delay in her nuptials. The village’s darker side begin to surface and the couple themselves are placed in grave danger as another body is found. The murderer’s reasoning is somewhat weak and the couple lose a little of their previous fire, but it’s a light, enjoyable read. Thanks to NetGalley for the 30-day ebook loan.